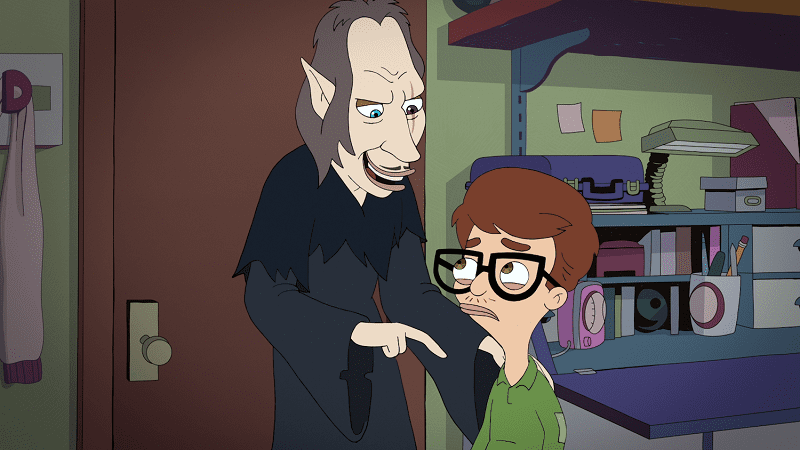 Netflix re-examines the trials of puberty with the second season of their surprise animated hit Big Mouth. 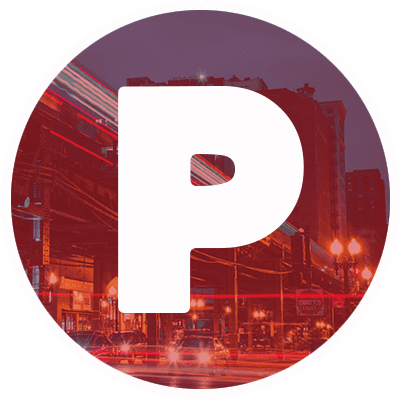 The second season picks up where the first left off – Jessi (Jessi Klein) and Jay (Jason Mantzoukas) have run away from home while Nick (Nick Kroll) and Andrew (John Mulaney) lament of their differing levels of physical development. Throughout the season new characters are introduced, from love interests in the form of Gina (Gina Rodriguez) to another spiritual being tormenting the teens in the form of The Shame Wizard (David Thewlis). 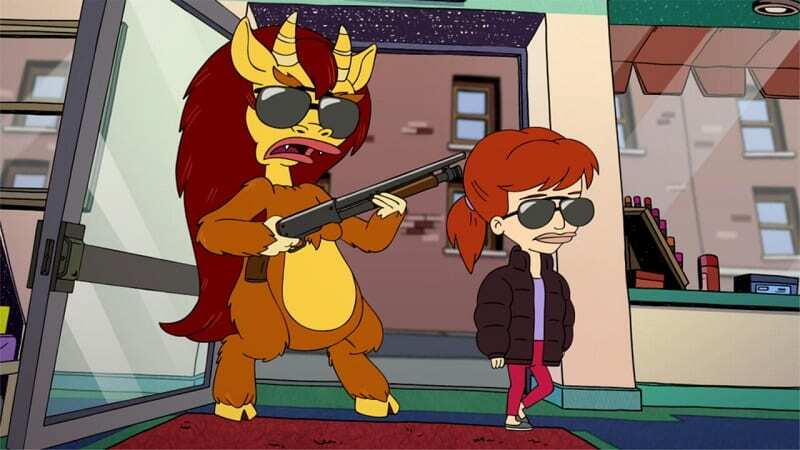 The first season of Big Mouth was a pleasant surprise when it came out considering the awful trailer Netflix released. It was basically a crude comedy that worked because of its likable and reliable characters because audiences would have been or currently going through the same growing pains. The second season continued what worked in the first season and toned down what didn’t. The best aspect of the first season was the main characters and their struggles. The second season expands on them and gives them bigger arcs. The first season focused on Nick and Andrew particularly Andrew struggling to be a good kid when his hormones are raging. The second season focused more on Jessi and Jay, especially Jessi. Jessi goes off the rails because of her parents’ divorce, and her Hormone Monstress gets her to shoplift and experiment with drugs. The final two episodes literally goes into Jessi’s mind, and she has a major realization. Her storyline makes the show a bit more like Bojack Horseman. The final scene of the penultimate episode where Jessi is sad and alone when her classmates are partying could easily have fitted in the other Netflix show. The first season established that Jay’s brash personality is a front because he has a turbulent home life. The second season expands on this because his parents are absent – they don’t even notice he has run away. Jay ends up forming a friendship with Coach Steve (Nick Kroll) and despite the man barely functioning as an adult he ends up being the closest thing Jay has to a parent. Jay also questions his own sexuality at the end of the series, and it will be a storyline that will continue in season three. Even minor characters were expanded upon. Lola (also voiced by Nick Kroll) was one of the most grating characters in the previous season, and she’s still an overbearing personality. She forces Andrew into a relationship with her. But she is genuinely hurt when the relationship falls apart, and the penultimate episode reveals she’s desperate for a real friend. Matthew (Andrew Rannells), the sassy gay kid also has a little arch because despite being outwardly confident his own insecurities are exposed. More characters will properly be developed in the next season. Nick and Andrew still have their own storylines. Nick is insecure that he isn’t developing as quickly as his peers and he has a romantic subplot with Gina. Nick’s romantic intentions with Gina were originally lustful due to her growing breasts, but he does have a rapport and suffers the usual levels of teen angst. However, Andrew degrades as a character. In the first season, he was a decent kid who had a corrupting influence in the form of the Hormone Monster. In this season he is turned into a pervert and openly expresses this – although it could be argued that he’s just acting like a typical 13-year-old boy. One of the big issues of the first season was the rules of its world. 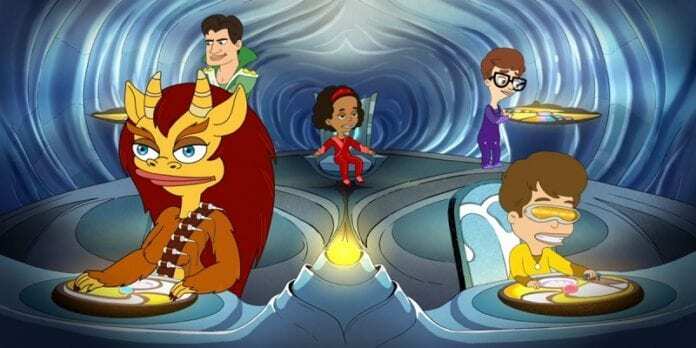 The show was meant to be about normal kids facing normal issues, yet characters shared Hormone Monsters, and the human characters are able to interact with ghosts. In the new season, the Hormone Monsters and the Shame Wizard are more an extension of the human characters and they amplify what the teens were thinking and feeling. This was especially true during the eighth and ninth episodes where tensions between the teens flared up. The role of ghosts was reduced and hopefully, the third season would drop them entirely. Sadly talking pillows that get pregnant but the show is going in the right direction. A great example of the improvement from the first to the second season is the finales. 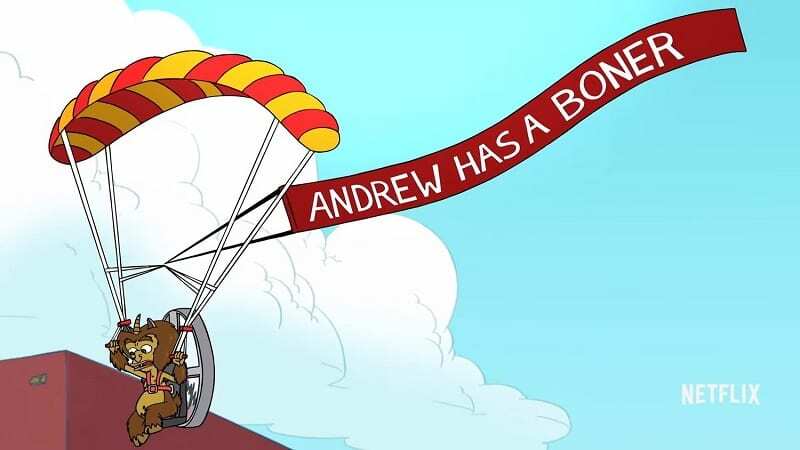 Both episodes have similar stories where a character gets trapped in another world, and they have to be rescued – in season one Andrew gets lured into The Pornscape and season two shows Jessi leading Andrew and Nick into the Department of Puberty, and she comes stark realization. The season two offered more character development and was much more focused – the first season finale had numerous storylines and a rushed ending. The final scenes with Jessi gives the target audience a positive and poignant message. Big Mouth second season keeps what works from the first season and tones down what didn’t. It is a more character-driven season and whilst it doesn’t top Bojack Horseman as Netflix’s best animated offering Big Mouth is a relatable show.